In all, about 81 days are priced in the “Value” range, 141 in the “Regular” range, and 85 “Peak” days. At first, people will be shocked and surprised but considering the value of a Disney park, this pricing doesn’t seem unreasonable. The days are pretty well distributed with nearly twice as many “Regular” days as either “Value” or “Peak” making for a nice bell curve distribution. And the pricing only affects 1-day ticket prices. 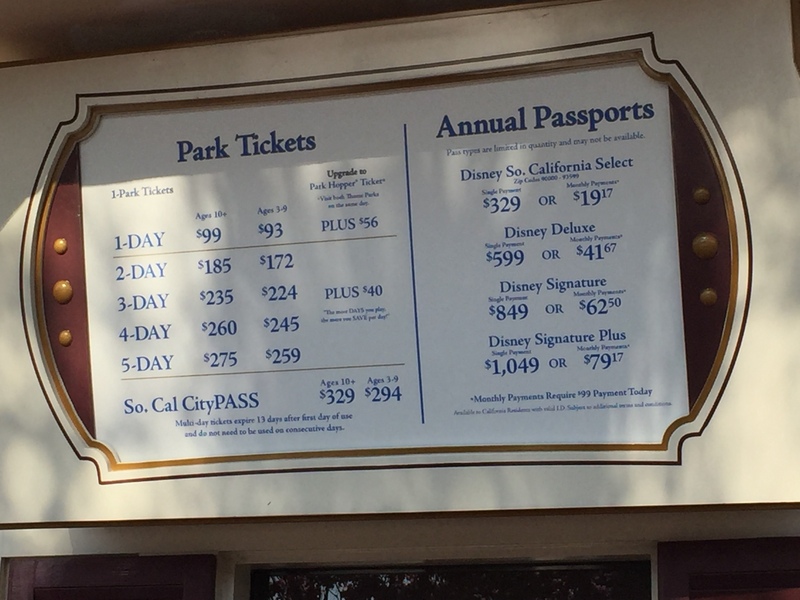 Multi-day tickets and annual passes are (at least as of this printing) unaffected by the new pricing structure. This makes both of those an even bigger value than they were before. In fact, at Disneyland the price of a one-day, one park ticket went DOWN by $4 and adding Park Hopper went DOWN by $1. It many not seem like a lot, but when was the last time you saw prices go down at a Disney theme park? Walt Disney World already prices Magic Kingdom differently than the other theme parks. 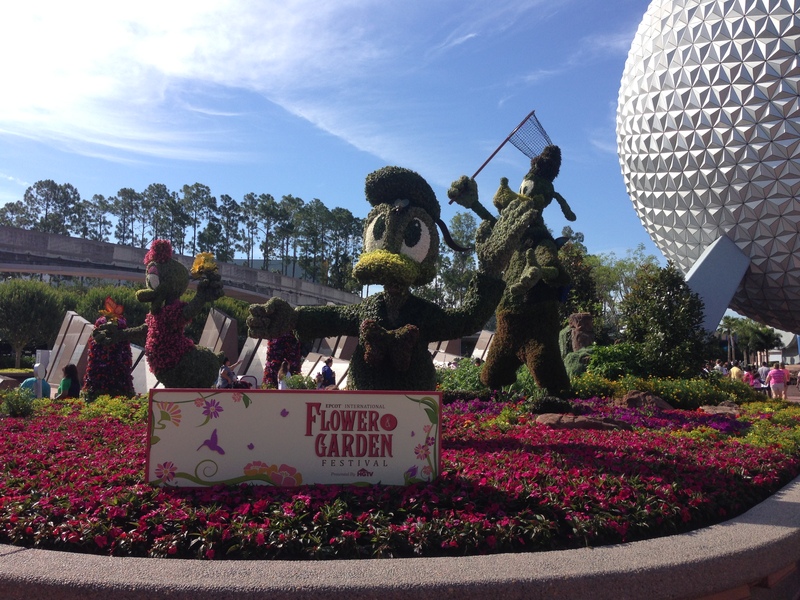 How will seasonal pricing affect WDW? Walt Disney World has similar but slightly different peak days. For instance at WDW, Spring Break weeks are slightly different, everything from Memorial Day weekend to late July is considered “Peak,” but Labor Day weekend is “Regular” as is all of October. Overall, the WDW curve is slanted toward the right (costing more) with 43 “Value” days, 165 “Regular” days, and 99 “Peak” days. There is no $4 price break for “Value” days at either Magic Kingdom (which remains at $105) or the other theme parks ($97). But again, annual passes at WDW remain the same price as before. The reasoning behind it is logical. According to the Disney Parks Blog, it’s supposed to help “spread out visitation” to the parks. If you’ve been to Disneyland any time in 2015, you know how crowded it was – even in traditionally “Value” days. According to one of our leaders at the Disney Institute class I participated in, 2015 was the busiest in Disneyland history! And with an entire land devoted to Star Wars coming on the horizon, it’s only likely to get busier. Trying to find a way to make every day an enjoyable experience is something Disney theme parks are intent on doing. Seasonal pricing is something that occurs on cruises, in hotels, and in other aspects of traditionally tourist services. Should theme parks be any different?